Trying to lose weight with a treadmill? Think again. If you haven’t tried this Trainer, you’re missing something! This treadmill-like, but not quite, technology from USA will help burn your fats and keep your body fit and healthy. Remanufactured for better results, it is surely an elliptical cross-trainer for a total workout on your body. It is the perfect gym equipment to take into your own home for personal usage and leisure exercise. Hone and tone your muscles and maintain your fitness with this Cross Trainer. Endowed with features that will surely help you achieve a full-body exercise to lose weight, the 95Xi has the best hand grips. The handlebars are specifically designed to allow you to exercise in a more natural gait and in the proper position. Based on biomechanical research, these hand grips are ergonomically positioned to maximize the access to your pulse rate, which will be displayed on the Hand Grip Pulse Rate Performance Monitor. The handlebars are specially designed, based on in-depth physiological research, and allow users to exercise in a more natural, ergonomically-correct manner. This helps modulate the intensity of your workout to avoid over-exercising. What’s more, this performance monitor of the this trainer provides a stunning 26 workout program system and a premium. With its 25 levels of resistance, a Life Pulse Digital Heart Monitoring System, a customized Cool Down protocol along with a Polar Telemetry heart Rate, the featured design of this trainer allows its users to be able to read magazines and program workouts while they work out. It also includes two workout modes namely the Cross-Train Aerobics and the Cross-Train Reverse. These modes of workouts guide the user to exercise in the appropriate manner. Using the 95Xi is easy because its console, which has lower and upper levels, has a numeric keypad. The suave and smoother elliptical rotation of this trainer and the hardware, which has been replaced, provide better results. Treadmills are good for exercises, but the 95Xi is not just a simple treadmill that works like a treadmill, but is more of full-body exercise equipment with its extra features, adjustable fulcrums, monitored handles and remodeled units. Only around 84.8 x 26.5 x 64 inches and a shipping weight of 500 pounds, this can be delivered anytime as a worthy investment. Some of the many benefits in using this Cross Trainer includes being able to monitor your heart rate. This helps you achieve a workout that helps get rid of stress and fat without putting yourself in precarious situations. Because of its features, it is perfect for any age and any size. It helps you further improve your muscle endurance, motor coordination, and, pulmonary and cardiovascular flexibility. You can get this trainer for your home gym, and never have to go to gym to any cardio training. This gym equipment is remanufactured by certified technicians to meet production standards of quality. The remanufacturing process begins only when an order is placed. This would then take around two to six weeks before the product is restored. It will be tested individually before it is released, and then, shipped. Life Fitness 95Xi is the perfect gym equipment to take into your own home for personal usage and leisure exercise. 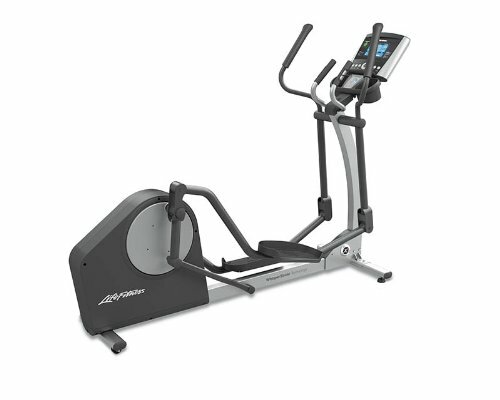 Hone and tone your muscles and maintain your fitness with the Re manufactured Cross Trainer.